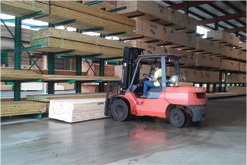 Since 1986, MRD Lumber has been a trusted lumber & building products supplier to home builders and general contractors in Schuylkill, Carbon, Lancaster, Dauphin, Lehigh, Bucks & Berks counties. We carry all the major brands for wood products, insulation, doors, windows, decking, hardware and more. In 2008, we built a 100,000 sq ft complex housing a retail showroom, manufacturing facility and drive-thru lumber storage just off of Interstate 78. This location gives us easy access to major routes, so we can deliver to our customers quickly, helping them stay on schedule and on the job site. 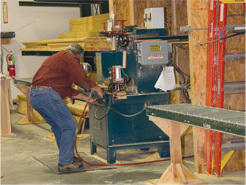 Our Millshop team is known for their craftsmanship in creating one-of-a-kind custom millwork. They’ve crafted arched doorways, ornate ceilings, sweeping curved staircases and elegant mantels. You can see the results for yourself by visiting our Millshop Gallery. Send your customers to our gallery to find inspiration and ideas they can add to their plans. We saw a growing need for a reliable kitchen resource that truly helped the customer build the ideal kitchen - and took the time to blend their needs with their budget. In 2011, MRD expanded our business to include the Kitchen Design Center, now located in our Midway Showroom. Here contractors and homeowners can come in, sit down and talk with our dedicated designer. They will take you through our showroom and explain all the design options that fit within your plans. Can’t make it to Midway? No problem. Our designer is happy to bring samples and product literature to you. MRD is more than just lumber. 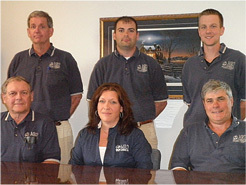 We are an extension of your home building team. Other companies can be suppliers, but we pride ourselves on being more. With a 150+ years of building experience and craftsmanship combined, the MRD team helps General Contractors, Home Builders, Remodelers and DIY Homeowners build successful projects. Our commitment to delivering unmatched customer service, industry-respected millwork and the best building products available ensure you can stay on budget, on schedule and on the job site.